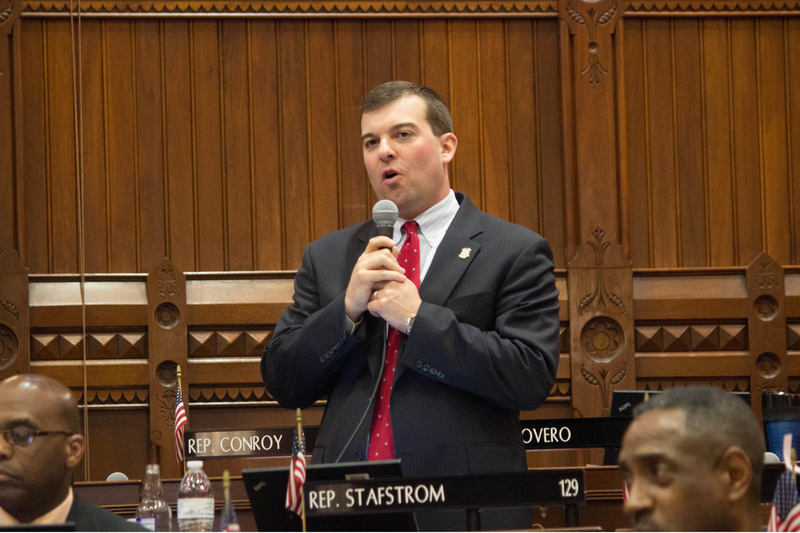 Representative Steve Stafstrom (D-Bridgeport) led floor debate in the state House of Representatives on legislation that passed that overhauls the office of the claims commissioner that has been the center of some controversy earlier this year. The claims commissioner, among a number of duties, is responsible for deciding when a plaintiff can sue the state. “The bill clarifies the process for making an award for wrongful incarceration,” Rep. said. “Our statutes right now are very sparse on how the claims commissioner is supposed to make awards. This legislation sets into place guidelines and parameters." The bill restricts wrongful incarceration awards requiring legislative review of any award in excess of $20,000 and calls for a formula for wrongful incarceration awards to be created. The legislation also requires the newly appointed claims commissioner to report back to lawmakers about any changes made to make the office more efficient and responsive.